What exactly does a full-service interior/exterior design firm do? Marcia Southwell, owner of South-Land Creative Design, Inc., believes that every detail contributes to a well-designed home. This means, for example, that when you are choosing finishes (flooring, countertops, tile, hardware) we actually lay out all the materials so we can see them together to ensure a cohesive look throughout your home. With so many elements to consider when starting a remodel or new construction, it is no wonder that homeowners feel overwhelmed. That’s why South-Land Creative Design, Inc. has devel oped a select network of architects, builders, cabinet makers, landscape contractors, painters, electricians, and other professionals who are reliable, experienced, and committed to doing the job right the first time. Also, South-Land Creative Design’s Your Home, Your Vision™ process will guide you through the project from start to finish. This process consists of four phases: the Design Phase, the Construction Phase, the Furnishings and Decorative Phase, and the Purchasing Phase. This phase is the foundation of the overall design and feeling of your home. 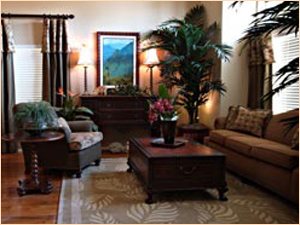 We will ask you to complete the Your Home, Your Vision Profile,™ to determine your preferences and requirements. 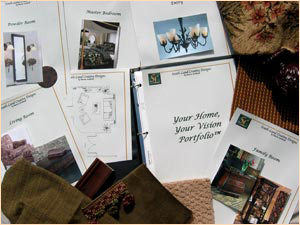 You will then be given a customized Your Home, Your Vision Portfolio™ which will include drawings, pictures, and samples of everything selected for your home. 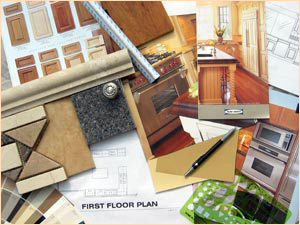 This lets you know exactly what will be going into your new home and helps you to understand the whole design process. In this phase you may experience a range of emotions. It can be very exciting because you start to see your vision coming to life. It can also be exhausting, because you will be asked to make several critical decisions. South-Land Creative Design, Inc. acts as a liaison to all the contractors to make sure that the decisions that we made in the Design Phase are carried out in this phase. In this phase South-Land Creative Design, Inc. will place orders for all the items that you wish to purchase through our company. 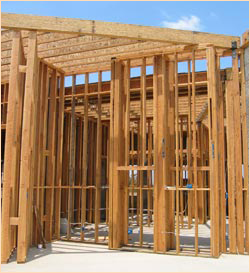 We track the orders, coordinate delivery, and supervise installations, so you don’t have to worry. Many clients consider this phase the most fun. This is the final step in making your home a true reflection of your personality. South-Land Creative Design, Inc. can introduce you to a variety of quality resources that are only available through the trade. At South-Land Creative Design, Inc. we have found that when homeowners work through our Your Home, Your Vision™ process, they see significant value added to their property and enjoy a home that becomes a true reflection of them selves.